The free from show means I now have a lot of goodies to try and blog! It is no secret I am a carb lover. If bread, cakes, crisps or chips are around, I am there! So it probably came as no surprise when I came home fully loaded with all the bread and cake based products I could get my hands on! One of which being the Genius Lemon and Poppyseed Muffin! I was sent the blueberry muffin to try a while ago (you can find my review here) But I had yet to try the lemon and poppyseed version. For 290 calories this muffin is quite large and I found it to be rather filling, as I ate mine for breakfast I found it tied me over until lunch! They do not contain milk either, so are a perfect option for those with milk allergies too. James can't eat too much dairy as it affects his skin so I think these maybe something he would enjoy when he is cutting back. They are so fluffy and moist with the most delicious sweet lemony flavour, with this being tamed with the tang you taste from the poppyseeds. A classic pairing that always works so well. Texturally these muffins are sublime, they have a lot of air pockets and are ever so soft. I feel those who are like James in your family who can eat gluten but for ease (and to avoid extreme grocery bills and lack of storage) join you in gluten free meals and snacks will not be disappointed. Not that James got a look in once I had started the first one, as they were so good, I just didn't want to share! Like all cake and baked goods, these are by no means an everyday eat. With 13.6g of fat and 15g of sugar per muffin, this is certainly a treat. But is so worth it when you are looking for a sweet treat. I feel that as they are quite filling and I enjoy them for breakfast, this makes it a lot better than some high calorie snacks that don't fill you up at all! Being a baked good, these do have a short shelf life so are best eaten as soon as possible. 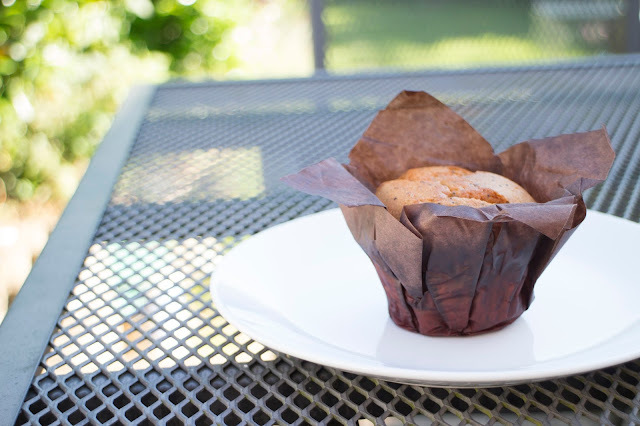 I am not sure if they are suitable for freezing but in general I do not tend to freeze muffins or any baked goods that come in a cupcake case, as I find they can go a little soggy when defrosted and stick to the cake! These would also be a nice treat for younger ones as the flavour isn't too unusual or complex for younger tastes. They are a little large however so they may need to be halved or thirds. It would be great if they would release mini muffins in a tub as that would be something I would be interested in and great for the younger market! I would love to know if you tried these muffins and what you thought!